LEWISTON — The boy was 16, small for his age, and crying, shaking and begging not to be taken back to the Elan School. It was 1979. The boy was sitting in the front seat of Lt. Max Ashburn's police car, and Ashburn didn't know what to do with him. As school liaison officer for the Androscoggin County Sheriff's Department, Ashburn knew he should take the boy back. But for more than two years on the job, he'd been hearing things about Elan. Bad things. Scary things. Enough that he'd started a file documenting names, numbers and reported abuses. The terrified Elan runaway sitting in his car that summer day had bruises on the underside of his arms that looked to Ashburn like he'd been trying to protect himself from blows. For 11 years, Ashburn had served as a well-respected law enforcement officer. He was known as "Officer Smiley" and was the policeman that worried parents called when their kids needed a nudge back on the right path. He knew his job. On this day, his job was to bring this boy back to Elan. But Ashburn did something he would keep a secret until last week. He drove to a truck stop diner in Auburn, where he knew some of the truckers might give a lift to a desperate teenage hitchhiker. And he let the boy go. Elan, a private boarding school for troubled kids, started operating at a former camp in rural Poland in 1970. It was founded by Gerald Davidson, a psychiatrist, and Joe Ricci, a former drug addict whowas familiar with drug treatment programs and an advocate of Elan's controversial tactics. Thousands of teenagers from all over the world went through Elan, sent there by parents, ordered by courts or delivered as wards of the state. Over the years,news programs ran exposes on the school and public officials investigated it. However, Elan remained open until 2011, when vocal former students and residents ran a successful online campaign to shut it down. Last Sunday the Sun Journal published a story about the sudden death of a 15-year-old from Auburn who was a student at Elan in 1982. That story prompted Ashburn to tell his own story to the Sun Journal. He saw parallels between the boy who died and the boy he helped escape. Ashburn didn't know anything about Elan when it first opened. He had grown up in North Carolina and did a stint in the U.S. Marine Corps. He was visiting an old Marine buddy in Maine when he fell in love with the buddy's sister. "Been here ever since," said Ashburn, 78. He originally studied to be an artist, but got interested in law enforcement when police officers walked into his art class one day and asked if anyone could work as a sketch artist. 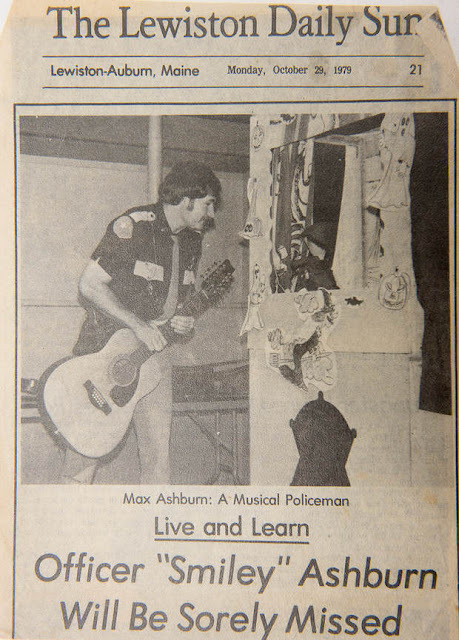 In Maine, in 1968, he joined the Lewiston Police Department. Nine years later, he joined the Androscoggin County Sheriff's Department as a school liaison officer. It was there that he started hearing about Elan from kids who had been there. At first he dismissed what he heard. "My feeling was kids just liked to complain about law enforcement," he said. "The first couple of times, 'Well, they're just complainers.'" But it kept coming up. And while the kids and their backgrounds were so different, their stories of Elan were eerily similar. "Things like they'd be locked in a closet, physically abused, hit, punched. They also talked about the boxing thing (forced fighting). A lot of verbal abuse," he said. Ashburn didn't dismiss the stories for long. "I would tell them, 'I hear what you're saying and it sounds like a pretty serious thing to me, so I'm going to look into it, see what I can find out. If there's anything I can do, I'll do it,'" he said. Ashburn said he drove out to Elan — out of uniform but in his police car — and asked to take a look around. He showed staff his ID. They showed him the door. "I told them I was concerned about things that people were telling me and that I was going to pursue it further. They said, 'Get out of here.' They were rude even to me," he said. "What I experienced there I hadn't experienced anywhere else." Back at the office, Ashburn said, Sheriff Lionel Cote gave Ashburn his approval: "Take it as far as you can." Ashburn started keeping a record, writing down what the kids were telling him, who they were, what he had done to follow up. He logged it all in his own personal shorthand so no one else could read it without his help. "It was starting to form a pattern," he said. "I thought when I reached a certain point I would either take it to the attorney general or the district attorney." Then came the summer of 1979 and a call from a Lewiston family on Bates Street. They had a runaway from Elan. The Bates Street family knew Ashburn from his days as a Lewiston beat cop. They thought he could help the boy who had appeared at their door. The kid was about 16, 5-feet tall, wearing jeans and a T-shirt with another shirt over it. He smelled bad and had bruises along the underside of his arm that looked to Ashburn like he'd been trying to protect himself, "like putting his arms up." The boy had been on the run for a couple of days. It's unclear how the teenager ended up at the Bates Street apartment building, a good 15 miles away from Elan through woods, over rural roads and down city streets. After 37 years, Ashburn can't remember the name of the family or whether they knew the boy. He believes the kid was a stranger. In the kitchen of the family's first-floor apartment, Ashburn and the boy sat down to talk. "(He was) very nervous. He did not want them to call me because he felt that I would take him back to Elan," Ashburn said. The boy echoed a lot of what Ashburn had heard from so many other former Elan students: forced fighting, physical abuse, being confined to a closet for so long that he lost track of time. The boy said he was scared for his life. "After I talked with him for a while, I was really torn," Ashburn said. "I can't take that poor kid back to the school, but if I don't, I'll be in big trouble." The boy said his parents lived out of state. He'd been at Elan for several months. "The way he described it, they sent him there for his own good, not as punishment, but to kind of steer him back down the right path," Ashburn said. "Turns out it was the wrong place." Ashburn said there were no reports of a runaway from Elan. He also said that wasn't unusual. But report or no, the kid was supposed to go back, and it was Ashburn's job — his professional and ethical responsibility — to take him in. It wasn't hard for the 6-foot-3-inch-tall police officer to convince the scared, small-for-his-age teenager to go with him. "I told him, 'You've got to go with me and I can either put handcuffs on you and do it that way or you can sit in the front seat with me and we'll talk it over,'" Ashburn remembered. The boy went, sitting uncuffed in the front seat as they drove away. "He was crying, and he was begging me not to take him back," Ashburn said, choking up at the memory 37 years later. Ashburn had planned to stop at the sheriff's office and then take the boy back to school. Instead, he pulled over. "He was getting to me at that time. I had to get my composure back," Ashburn said. Ashburn was a married man with four kids of his own. But he'd been like this boy at one time. "He kind of reminded me of me when I'd been a punk kid," he said. Pulled off the side of the road, Ashburn made a decision that would trouble him for the rest of his life. "Remember Jimmy's Diner over in Auburn? I said to him, 'I'm going to do this for you, I'm going to take you to a place called Jimmy's Diner. I'm going to leave you there. All kinds of truckers come in there and I'm pretty sure you can hitch a ride with one of the truckers, maybe you can get back home,'" Ashburn said. Professionally, it was wrong. Ashburn knew it. But at that moment, he thought the teenager would be safer hitching a ride with strangers than he would be going back to Elan. By the time they got to Jimmy's, the boy had settled down, relieved. The diner was busy — probably lunchtime, Ashburn remembered — and there were a number of trucks in the yard. Ashburn had been a truck driver himself at one time, before his law enforcement career, and he knew the drivers at Jimmy's would be friendly enough to the kid. Ashburn gave the boy $5, likely all the money he had in his pocket. "I told him all kinds of truck drivers come here. Don't leave the restaurant. Stay here, buy yourself something to eat and drink. You can just ask those guys when they come in if you can hitch a ride," Ashburn said. He walked the boy to the diner door. "I appreciate it," the boy told him and went inside. Ashburn never saw him again. The boy was far from the first to bolt from Elan, not that outsiders heard much about it. Capt. Ray Lafrance, with the Androscoggin County Sheriff's Office since 1977, remembers Elan officials calling police to report missing kids only as a last resort. "What they were notoriously good at doing, they would send out posses," said Lafrance. "I remember back in the '70s, early '80s, I'd be out on patrol at night, all of a sudden I would see these vans driving around and I'd stop them and say, 'What's going on?' And they literally had maybe 12 teenagers, they would be scouring the countryside looking for the person that ran away. "Elan usually caught most of them," he said. He described the school "like an island on its own." Lafrance's experience was similar to Ashburn's: If police could be kept out, they were. "Back then, we heard the rumors, too. We heard they had a boxing ring and stuff," said Lafrance. "As far as officially, we never saw anything. If we drove down in there, everyone knew about it. There was a network — if they saw a sheriff's car, we were greeted. Even if we were just on patrol and go swinging around, we'd have someone come out: 'Can we help you?' We were never allowed to go further than the admin office." When police did pick up runaways, some were relieved to be found after spending a few panicked nights in the Maine woods being "eaten up by mosquitoes." "But there were some, too, that were scared to death to go back to Elan," Lafrance said. "If we really felt they were really scared, we'd bring them into the department, call their parents and at least let them know what's going on. Then we'd call Elan and they'd come pick them up." Todd Nilssen, a New York filmmaker and former Elan student working on a documentary about the school,"The Last Stop," said attempts at running away were a lot more common in the 1970s and 1980s, the school's early days, before students were stationed to watch the doors. "It wasn't 100 percent, but most people got caught and brought back," said Nilssen, 28. "You were basically — and I think somebody phrased this best in my documentary — that you were basically 'therapeutically killed,'" he said. "You got a very heavy general meeting and that's when everyone gets out of their chairs and screams in your face. They might put you in the (boxing) ring. They're definitely going to put you in the corner for a while. When I was there, they had a thing called a 'pod.'" The "pod" was a taped-off section of tiled floor, a 3-foot-by-3-foot square, and you stayed in it. Or you got tackled and dragged back. "Somebody I interviewed ran away and actually lived in the woods for a while," Nilssen said. "His mother had given him to the state, he had nowhere to go back to. So he lived with this guy in the woods and learned to live off the land and now that's what he does, he teaches wilderness survival. "He said Elan was the last place he ever ran from. He did get away," he said. Matt Hoffman ran away around 1975. Hoffman, who spent two years at Elan and has been active in bringing the school's practices to light, said he was 16 at the time. "I know so many people that split — that's what they were called, 'splitees,'" said Hoffman, who now lives in Virginia. During his attempt, he spent three days in the woods before being grabbed by other residents. "I was put into a corner for a month, then I went through several meetings and I had a bizarre visit with my family," said Hoffman. He remembers a baseball bat being given to another resident with the instructions: "'If he even gives you the hint that he is going to run away, you are to beat him to death on the spot.' And I truly believed they could beat me to death at any time they wanted to." For those who got away, it wasn't always good. In July 1990, runaway Brad Glickman of New York , 15, was shot in the heart in Norway by a local man. The man, who'd argued that he'd been handing a gun to Glickman when it went off, was later convicted of negligent homicide. Dawn Marie Birnbaum was 17 when she ran from Elan in March 1993. She was later found dead in a Pennsylvania snowbank. A jury convicted an Ohio trucker driver, who'd given her a ride, of first-degree murder. Ashburn has long had a reputation as a nice person and a good police officer. Lafrance described the former lieutenant as "a very good guy, excellent artist." Guy Desjardins, who spent 40 years in law enforcement and recently retired as Androscoggin County sheriff, knew Ashburn as an officer. "He was well respected, I'll tell you that," Desjardins said. In 1979, Ashburn received a commendation from the Maine Chiefs of Police Association for "outstanding service to his community and his profession." That commendation came after helping the boy. "I wondered if they knew, if they would have given it to me," he said. "I wonder if they would have taken it back." Ashburn spent 23 years in law enforcement, three of them at the sheriff's office. He left not too long after helping the runaway. There was an appointment for a new sheriff — he'd considered the job, withdrew his name and didn't stay long under the new leadership. "(At) my sudden departure, everything I was doing (investigating) Elan ended," Ashburn said. His file of reported Elan abuses, written in his indecipherable shorthand, stayed behind. It included the boy's name, which Ashburn no longer remembers. He recorded it only once, immediately afterward, and placed it in the file. As his career moved forward, he feared for his job. If the teenager was caught and mentioned that Ashburn had helped him — or if someone found out some other way — "that would have been the end of my career." And he feared for the boy. Ashburn, who still lives in Lewiston, is a widower now; his wife died last year after a 10-year struggle with Alzheimer's disease. Yet through everything, the incident has continued to weigh on him. He always wondered: "Did I do the right thing? Did he make it home?" Ashburn said reading the Sun Journal story last weekend on Phil Williams Jr.'s sudden death made him decide it was time to "confess what I did." "The article really made me wonder. In a way it relieved me, because people were saying the same thing that the kid was telling me," Ashburn said. "It bothered me so much because I don't know what happened to the kid. Maybe something bad happened. Maybe he made it all right." His hope now is that the boy recognizes himself in Ashburn's confession almost 40 years later. "If he came forward and told me everything went well, I'd tell him you just made me really happy," Ashburn said. "But it would be good to know one way or the other." Some people are going to judge Ashburn for what he did. He knows that. "I'm glad (I did it), but I know it was wrong," he said. "Wrong in one sense and right in another, I guess. If it all worked out." In the front seat of his cruiser, having to look that boy in the eye, "Officer Smiley" said he'd do the same thing again. 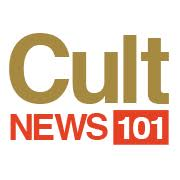 What Are Some Examples Of Religious Cults? Do Mormons Still Practice Polygamy?